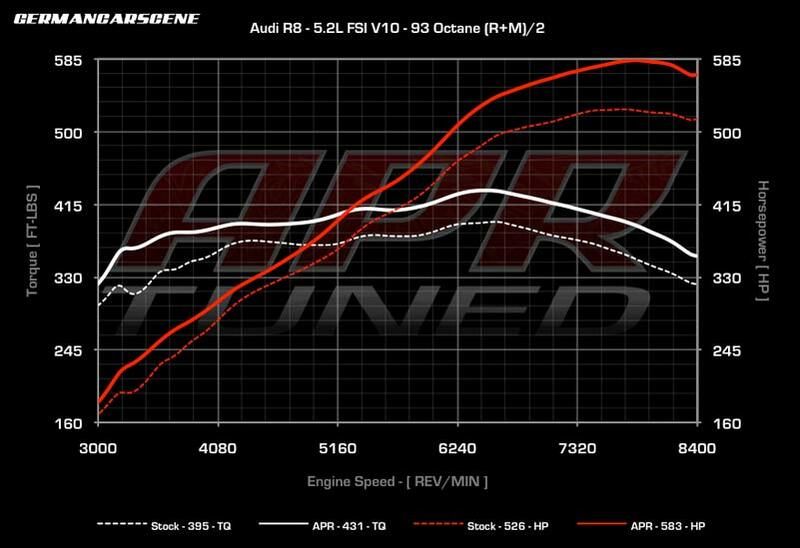 Alabama-based APR has released details of its Stage One ECU upgrade for the Audi R8 5.2 FSI V10. As the company points out, the R8’s Bosch MED9 Engine Management System is factory detuned so as not to step on the toes of other vehicles in the VAG 5.2 FSI V10 line-up. 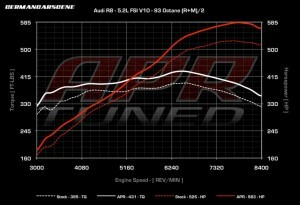 The APR ECU upgrade sees output rise from 368 kW (524 hp) and 530 Nm (391 lb/ft) of torque to 435 kW (583 hp) and 602 Nm (444 lb/ft), taking it into Audi R8 GT and Lamborghini Gallardo Superleggera territory. The conversion is priced at $1,349 (€1,098).